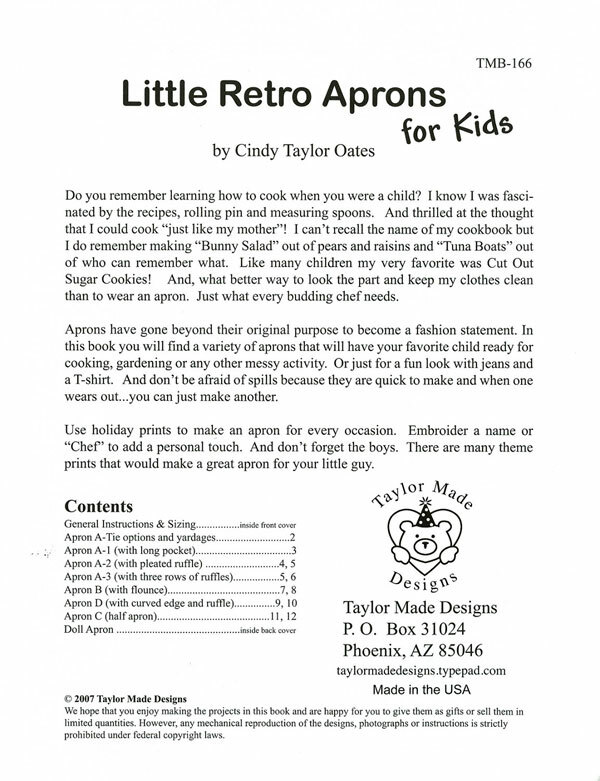 Look at these adorable aprons made from "Little Retro Aprons for Kids" pattern booklet by Cindy Taylor Oates! 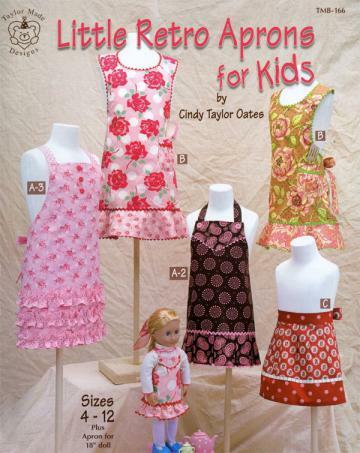 Pattern book includes child sizes 4 - 12 plus one apron pattern for 18" doll. Full-size pattern pullouts are included. Tracing your patterns is highly recommended as it saves your master pattern for future use. Aprons have gone beyond their original purpose to become a fashion statement. In this book you will find a great variety of aprons that will have your favorite child ready for cooking, gardening or any other messy activity. Or just for a fun look with jeans and a T-shirt. And don't be afraid of spills because they are quick to make and when one wears out...you can just make another. 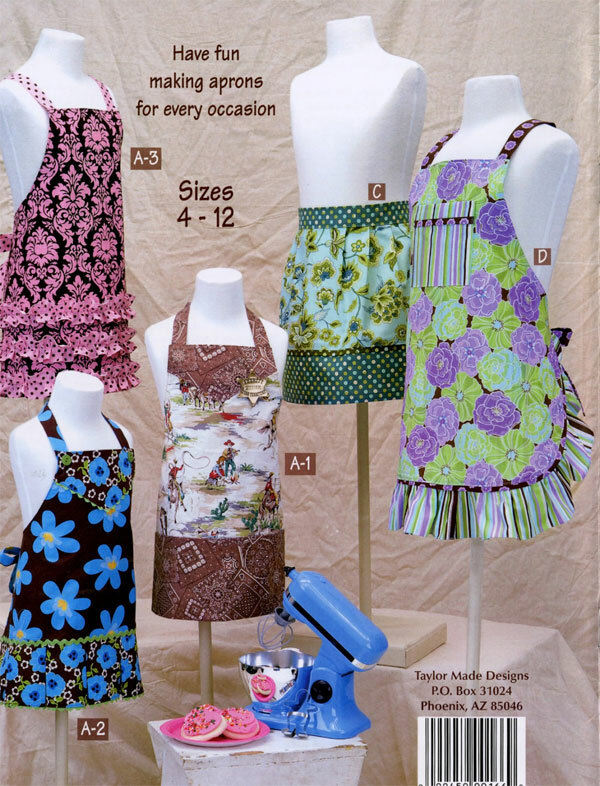 Use holiday prints to make an apron for every occasion. Embroider a name or "Chef" to add a personal touch. And don't forget the boys. There are many theme prints that would make a great apron for your little guy. While my little guys wouldn't go for any ruffles or rick-rack, they do like to cook and I know they'd enjoy having their own special apron with a "boyish" print.